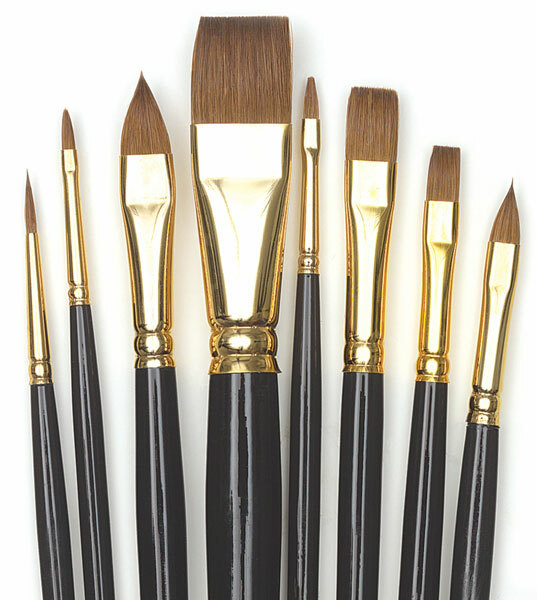 This set features an assortment of Pure Red Sable Renaissance brushes. There is one size 6 Series 7100 Round brush. 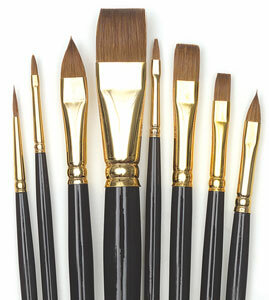 There are four Series 7102 Bright brushes in sizes 2, 6, 10, and 20. Additionally, there are three Series 7110 Cat's Tongue brushes in sizes 2, 6, and 10.